If you’ve taken a look at the Rules Of Home Brew you’ll have seen my advice about always having plenty of consumables such as bottle caps on hand. Well, I took my own advice and bought this! 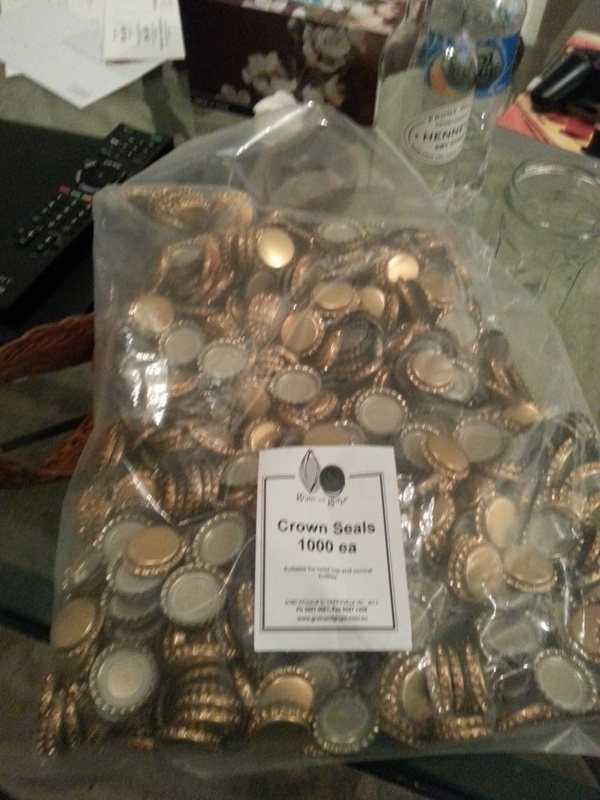 I needed more bottle caps because Mikey and I will be bottling the the dark ale this weekend, and it just made financial sense. Basically, as with anything, the more you buy, the cheaper it is, so buying 1000 caps is quite affordable. I would have got more sanitiser and sugar, but I’ve got plenty of that. Adding to that, I was already shopping on line for some home brew supplies. Mikey and I have had some good luck with the BrewSmith kits, so we’ve decided to try and replicate one using our own recipe. We’ll be brewing that this weekend, and I’ll post the recipe then. Funny though, I was speaking to a friend about my horror at forgetting the yeast, and, since my friend isn’t a nerd, he didn’t know about all the different types of yeast and the importance of using the correct one. Needless today, he now knows plenty! Anyway, I’m pretty excited about my caps! I’m going to split them with Mikey so that we both get cappy goodness.